Although it is often underrated as a tourist attraction, the historic city of Philadelphia offers a lot to visitors. 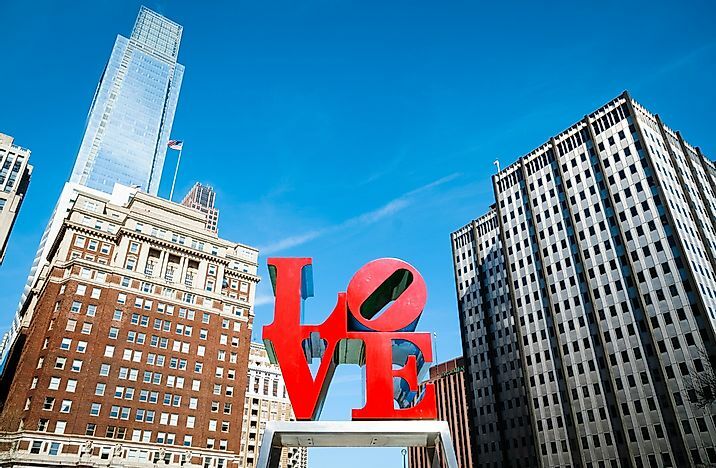 Downtown Philadelphia with its iconic "LOVE" sign. Philadelphia was founded in 1682 as a capital of the early American colony of Pennsylvania. It is the largest city in the state as well as the fifth most populous city in the United States. Philadelphia played a key role within the American Revolution. 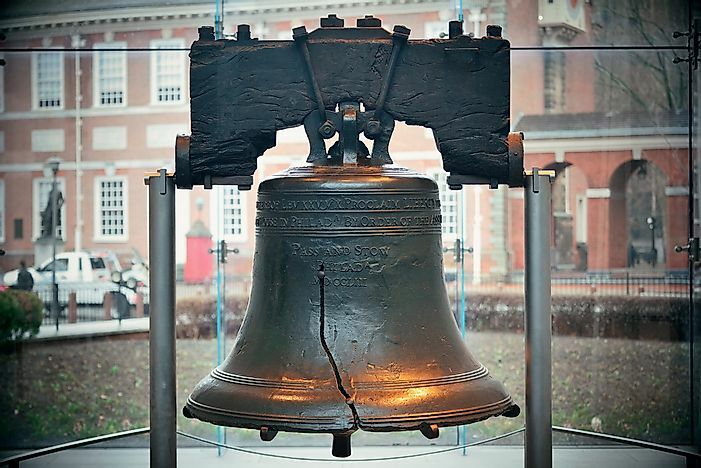 For this reason, this city is home to more than 50 nationally important historic sites, including the preserved Liberty Bell, the Siege of Fort Mifflin and the Battle of Germantown. Philadelphia also served as a temporary capital of the United States when Washington, D.C. was under construction. Today, Philadelphia is a prominent industrial, business and educational hub of the country. It has a number of top ranked companies, entrepreneurship, and international universities. Due to the city’s rich historical treasure, and its economic and educational progress, Philadelphia contributes a major chunk to the country’s gross domestic production. With that being said, here's a look at a few reasons why you should consider visiting Philly the next time you are on vacation. A sign welcoming visitors to the Reading Terminal Market. 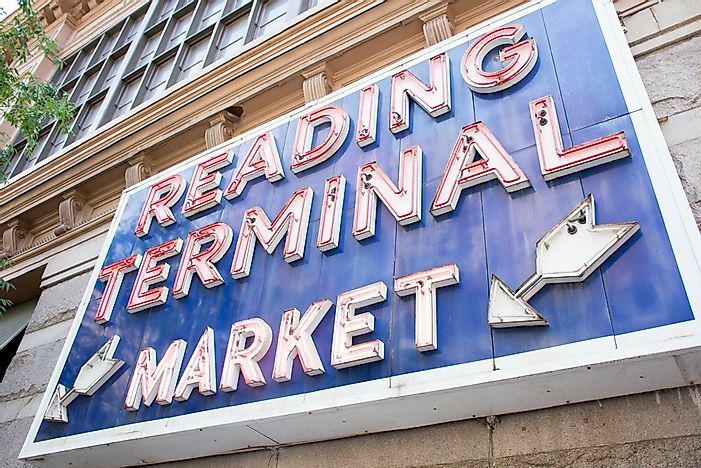 Established in 1893, the Reading Terminal Market is one of the oldest enclosed markets in Philadelphia. It first originated in a train shed at the Reading Railroad Company and has gone through changes and expansions over time. If you hold an interest in cooking, then a visit to this market is a must when you visit Philadelphia. The market boasts of appealing aromas from fresh meat and handmade confections, most of which are locally grown. There is also exotic produce, seafood and several Amish specialties to be discovered. Even more, there are stalls selling kitchenware, cookbooks, and even table linens. If looking at all that fresh produce gets you hungry, there are a variety of restaurants around where you can enjoy a hearty meal. The "Please Touch Museum" has been the Children’s Museum of Philadelphia ever since its inception in 1976. Over the past three decades, the museum has welcomed over two million visitors, and with time, it has become one the premier children’s museums of the nation. The main aim of the museum is to create learning opportunities for children by means of touch and play. For this, it provides the ability to acquire hands-on learning and cultural awareness. There are six interactive exhibit zones at the museum, four of which have specifically designed for children 3 and younger. 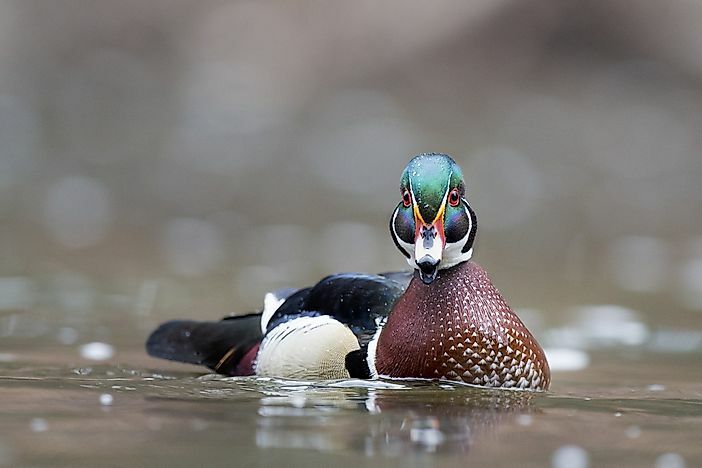 A duck in Wissahickon Valley Park. The famous Wissahickon Valley Park stretches across 2,042 acres of parkland. It exists in the form of a trail that follows the Forbidden Drive creek throughout the entire length of the park. The creek and trail were given this name beginning in the 1920s, when cars and all other modes of transportation were banned from it. Since then, it has only been open to pedestrians, cyclists and equestrians. Most interestingly, there are several historical features in the park, including old homes that are currently owned by notable locals. The Forbidden Drive is connected to Ridge Avenue by a paved path and this is where the creek falls into the Schuylkill River. 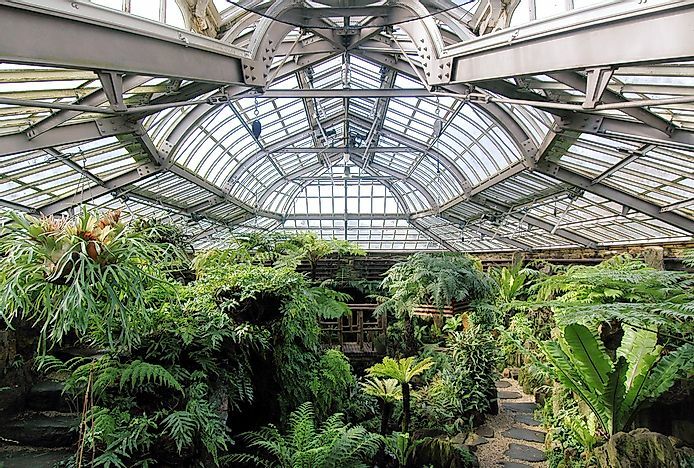 If you want to explore nature and history at the same time while visiting Philadelphia, then a visit to this park should be on your to-do list. The eclectic appearance of Magic Gardens. Philadelphia's Magic Gardens is a non-profit organization focused on folk art which features an extensive gallery space on South Street. 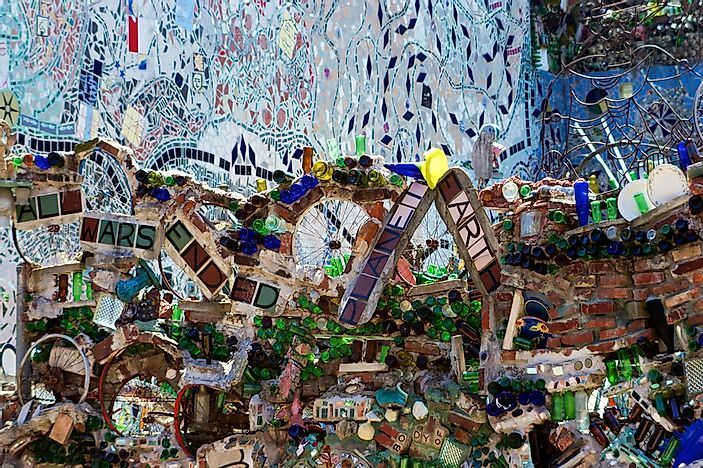 As of yet, Philadelphia’s Magic Gardens happens to be the largest work ever created by Isaiah Zagar, the famous mosaic artist. It boasts of indoor galleries, an extensive outdoor labyrinth, and spans across three city lots. The mosaics on display here are made out of elements like bike wheels, kitchen tiles, china plates, Latin-American art and so much more. If you’re a foodie and want to try out the delicious foods offered in Philadelphia, then you must take a food tour while visiting the city. 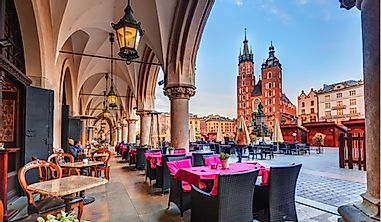 Amazing walking tours are offered that will let you taste food cooked to perfection at cutting-edge shops and restaurants boasting of delicacies. What better way to learn about a city than through your taste buds? 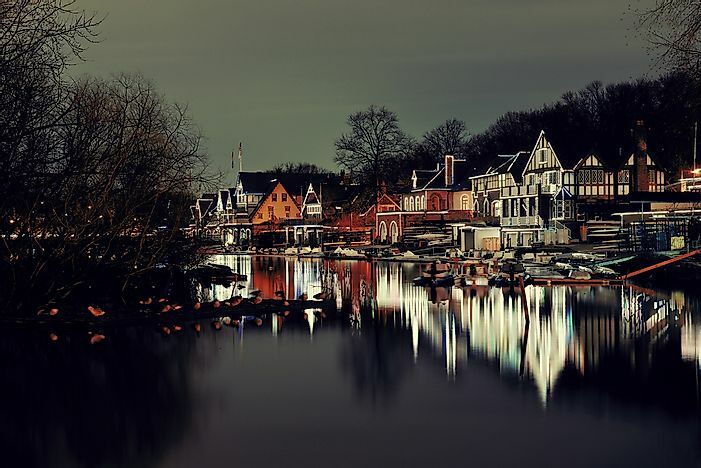 Boathouse Row is a famous historic site located on the eastern bank of the Schuylkill River, just west of the Philadelphia Museum of Art. The site is a must-visit for anyone interested in history, boats, rowing, or all of the above. There is a row of 15 boathouses that are home to rowing and social clubs. Every single boathouse here has an extensive history. All the rowing clubs here are members of the Schuylkill Navy of Philadelphia. If you go down the river, you will get to check out thePhiladelphia Canoe Club as well as the East Park Canoe Club. The greenery of the Morris Arboretum. If you hold an interest in nature, humanities and science, then a visit to the Morris Arboretum of the University of Pennsylvania is highly recommended for you. It is a historic public garden as well as an educational institution. The aim of the garden is to encourage visitors to learn about the relationship between people, plants and land. For this purpose, a number of programs are held at the garden, all of which bring together different elements of art, science and the humanities. An art museum that was originally chartered in 1876, the Philadelphia Museum of Art is one of the most famous art museums in the country. 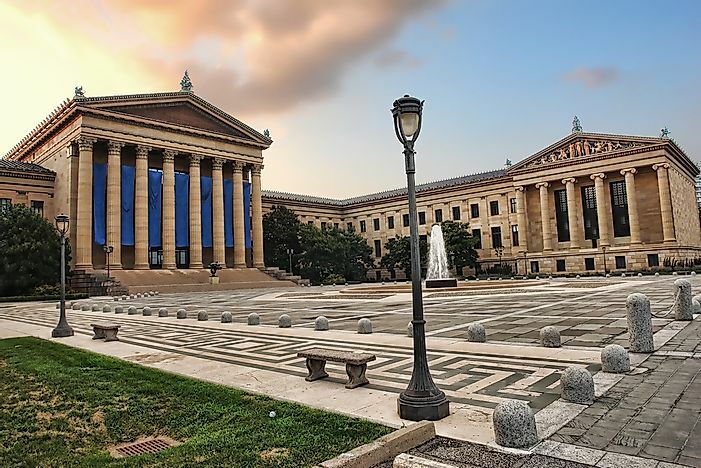 Located on a hill at the northwest end of the Benjamin Franklin Parkway, the main building of the Philadelphia Museum of Art was completed back in 1928. The collections on exhibit here are made up of 240,000 objects that include significant holdings of Asian, American and European origin. The different classes of artwork on display here include paintings, prints, sculpture, photographs, decorative arts, armor, and drawings. For art enthusiasts, visiting this museum is a must. There are various pub crawl tours on offer in Philadelphia, but all of them are focused on the same thing: helping tourists visit some of the best drinking establishments in the city. Philadelphia is counted amongst the best beer drinking cities in the country – and it has an extensive history to back that claim. On a pub crawl tour, you will be able to learn how the first American Porter was brewed, as well as about old tavern traditions and the history of Philadelphia’s drinking past. The Liberty Bell with its iconic crack. This is an iconic symbol of American independence and was originally placed in the Pennsylvania State House (now called Independence Hall). With time, it was moved to the Liberty Bell Center in Independence National Historical Park. A visit to the Liberty Bell will help you learn about the founding of the State House Bell (now known as Liberty Bell), how it was used by abolitionists, and the ways in which women’s suffrage was advocated.